There are dozens of faucet options out there, so how do you decide which one to use? Consider this scenario that may be helpful in making your decision: You come home from a long, relaxing vacation to hear some unusual sounds coming from the basement. You pause, "surely that can't be water I hear in the basement?" You step closer toward the basement door and your heart sinks, your suspicion has come true. The basement has flooded. A slow wade down the stairs and you discover that the pipe in your ceiling that feeds the outside faucet has been leaking, or potentially even burst. You don’t notice the leak until you turn on the faucet. After making your way outside to exam the faucet you find, to your horror, a hose has been left attached outside during the winter, where water remained in the hose, and backed up into the faucet plumbing. It then expanded when frozen and split the piping. Does this experience sound familiar? If so you might consider installing a frost-free faucet. "A frost-free outside faucet is designed so that the pipe extends through the sidewall of the house, and combined with the flow valve, remains in the heated interior to prevent freezing," says Anthony Plumbing, Heating & Cooling . So when is the best time to install such a faucet? Anthony Plumbing, Heating & Cooling continues, "Summer is a wonderful time of the year to think about installing this faucet because, as much as we may not like it, winter is just around the corner." Many homes do not have these installed, and with these cold Kansas and Missouri winters, they are something every homeowner should have to avoid a time-consuming and costly repair process. Not sure if you have a frost-free faucet installed? Structure Tech suggests looking up inside the spout. "On a frost-free faucet, all you’ll be able to see is a metal stem. On a faucet that isn’t frost-free, you’ll be able to see the valve components open and close when the handle is turned." Still not sure how to tell if you have a frost-free faucet? Consider calling the experts at Anthony Plumbing, Heating & Cooling to come examine it. Before winter arrives in a few months, there are some extra precautions you can take in addition to installing a frost-free faucet to prevent freezing and bursting pipes in your home. The Red Cross recommends "removing, draining and storing hoses used outdoors. Close inside valves supplying outdoor hose bibs. Open the outside hose bibs to allow water to drain. 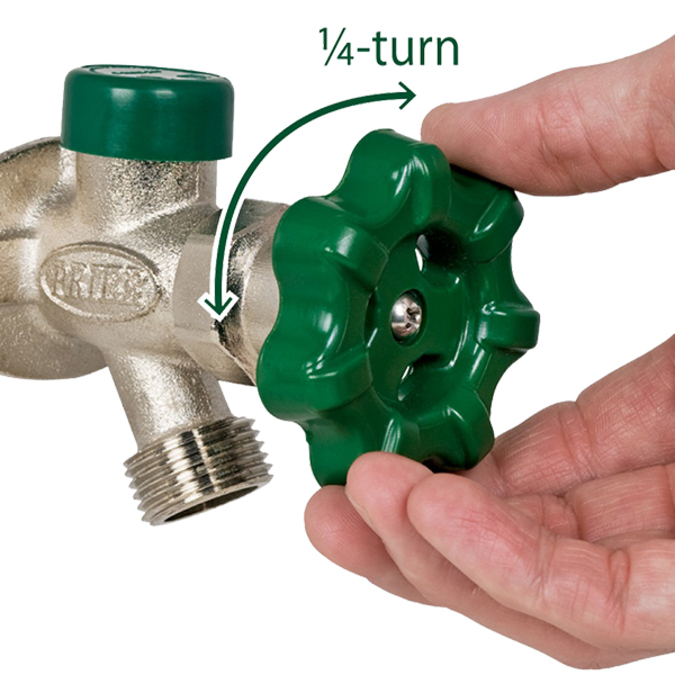 Keep the outside valve open so that any water remaining in the pipe can expand without causing the pipe to break." If you are unsure about how to install a frost-free faucet, or if you don't know if you already have one, the best thing you can do before this winter is have the experts at Anthony Plumbing, Heating & Cooling come out to check things out. Their plumbers average over 15 years of professional experience and the company has been in the business since 1951. Have them out today.